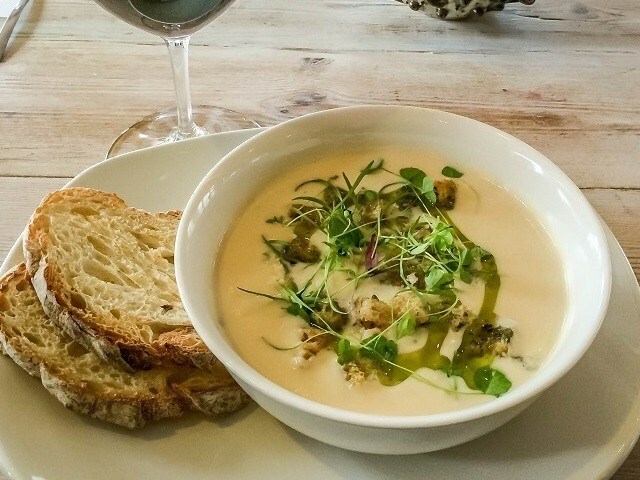 On a recent trip to South Africa, we spent some time exploring the Hermanus wine region. One of the absolute highlights was an amazing 10-course wine tasting at Creation Wines. 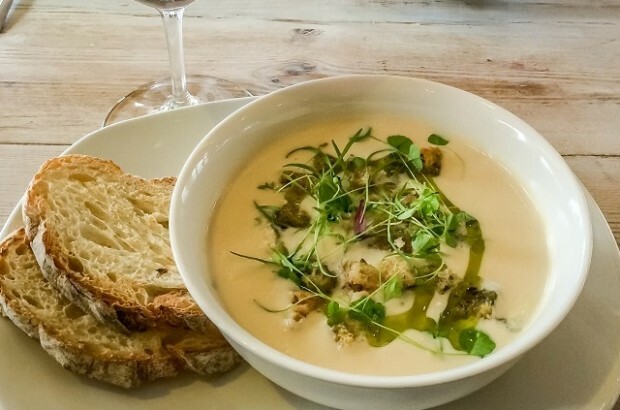 This amazing cauliflower and gorgonzola soup was the highlight of our dining experience! 3. Simmer cauliflower until soft. Take caution not to overcook the cauliflower as it will brown. 5. Serve to your guests with a delicious glass of wine!